We thank Jason and Greg for their hard work over the years, and understand how hard it is to take a project from concept to final product. 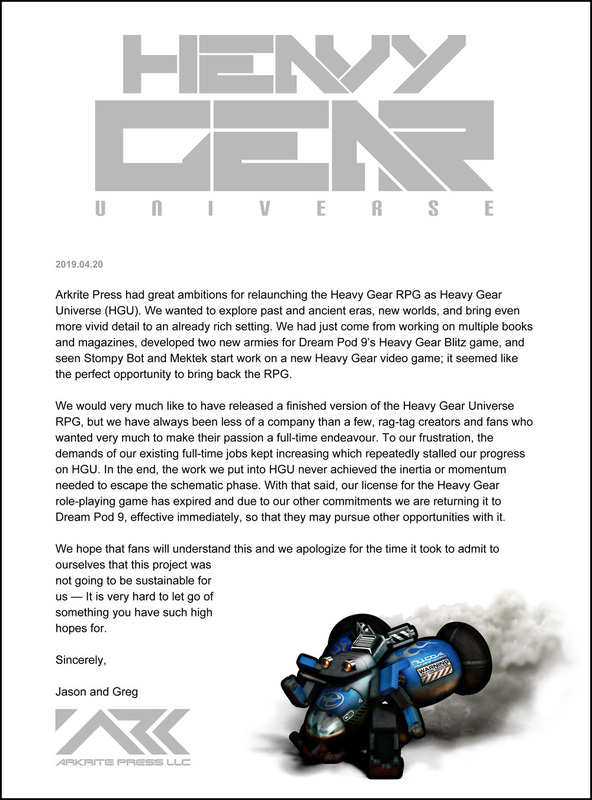 Dream Pod 9 wants to see a new edition of the Heavy Gear RPG, but has no plans to license it to another company in the future. We'll instead start working on it in the background with the help of a few dedicated fans and once its getting close to completion do a Kickstarter to pay for printing, writing, layout, and artwork costs. Utopia Kickstarter Plastic Injection Mold Update! Work has started at the mold production company over in China on the plastic injection mold for the Heavy Gear Blitz Utopia Armed Forces Kickstarter plastic models. This week we received the mold flow analysis for all Utopia model sprues. The update includes a graphic with images of various mold flow analysis tests done on the sprues that will be used to determine where to place additional entry points for the molten plastic so that it reaches and completely fills all the parts. As well as water cooling pipes and sprue ejector pins needed in the molds. Read more about Utopia Kickstarter Plastic Injection Mold Update! 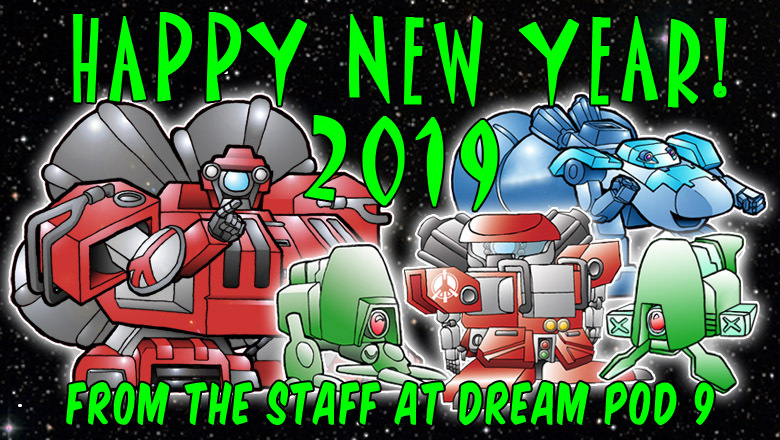 The Staff at Dream Pod 9 wishes everyone a Happy New Year and hope you all have an amazing 2019. Read more about Happy New Year All! 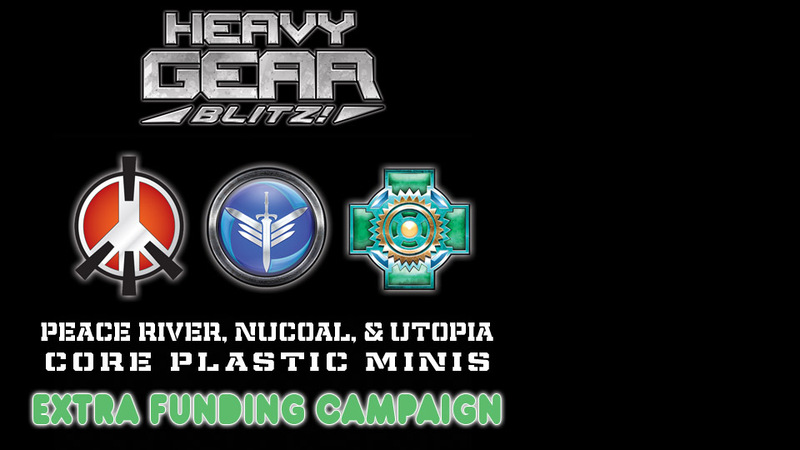 Heavy Gear Blitz Kickstarter Update: Plastic Injection Molds, Plus Jackal & Mameluk Two Packs Preview! Read more about Heavy Gear Blitz Kickstarter Update: Plastic Injection Molds, Plus Jackal & Mameluk Two Packs Preview! Dream Pod 9 Christmas 2018 Sale! Its the Holiday Season again and time for Dream Pod 9's Annual Christmas Sale, which runs from December 17th thru Sunday Midnight EST of January 6th 2019. This year we several great deals, with our HGB plastic miniature Army Boxes at 33% off, HGB Quickstart Rulebook at 50%, HGB Status Tokens & Commander Token Packs at 20% off, all Chibi Models at 20% off, and all our HGB APCs, Mounts, Striders, Tanks, VTOLs, Badlands Resin Terrain, Stoneheads & Civilian Vehicles at 20% off. Read more about Dream Pod 9 Christmas 2018 Sale! The Dream Pod 9 Office will be closed from Dec. 4th to 13th for a short vacation before the Christmas rush starts. Emails may not get answered until December 14th when we are back and in the office again. We will be checking in on the DP9 Facebook page if anyone needs to reach us. 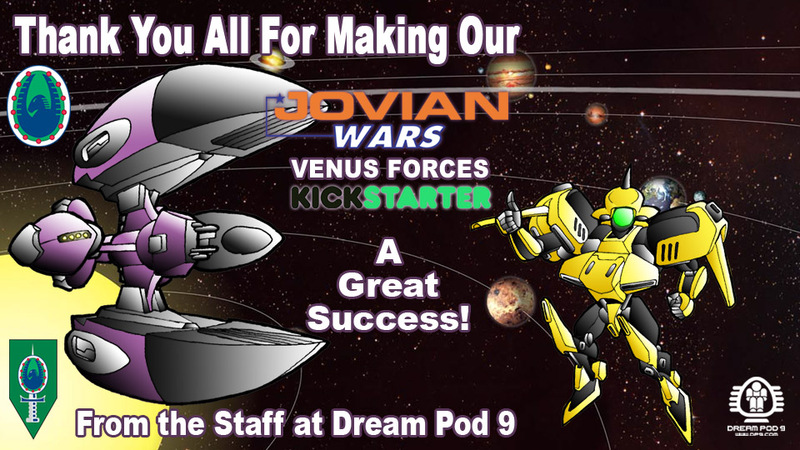 Jovian Wars Venus Forces Kickstarter a Great Success! Read more about Jovian Wars Venus Forces Kickstarter a Great Success!